A doughnut-croissant hybrid created by Dominique Ansel, the Cronut has created a bit of a craze in New York – commanding queues outside his bakery as early as 4am. At the height of the craze, the pastries were sold out within a few hours on a daily basis – prompting some uncouth behaviour from disgruntled customers. And while the pastries normally cost $5 a piece, a lady with very deep pockets saw it fit to pay $14,000 for a dozen Cronuts at a recent charity drive (that’s almost $1,200 per Cronut!). Not wanting to be left out, bakeries in other parts of the world have also capitalised on the Cronut’s success, producing their own versions of the famed dessert. Canadians have the frissant and the cronetto, South Koreans have the New York Pie Donuts, the Brits have the Greggsnut, and back home, Malaysians have the KLonut. Why, even the itsy bitsy town of Basel has it. Brought into Switzerland by the bakery arm of Migros (a major Swiss supermarket chain), the cronut first landed in Zurich, and Basel shortly after. Mr. Ansel, however, wasn’t too pleased about it, accusing Migros of being a copycat and stealing the Cronut name (which was not patented in Switzerland). Migros eventually gave in, and announced recently they would use another name for their version of the pastry. Curious, I recently sampled Migros’ controversial pastries to see for myself what the fuss is all about. It tastes a bit like cakoi. That deep fried dough popular among the Chinese and Malays alike; best eaten with rice porridge. Imagine a sweet-ish cakoi with custard piped through it and you get the idea. 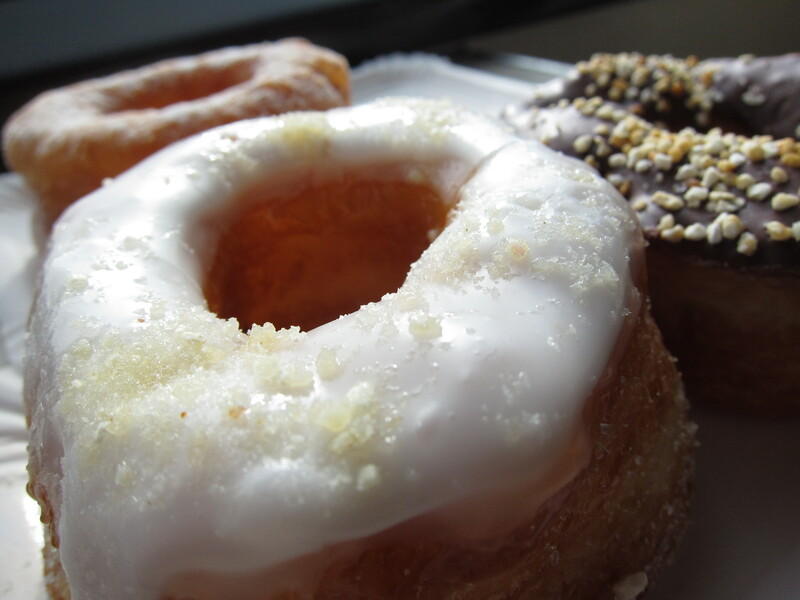 To be fair, I haven’t had the chance to taste the original Cronut; only the Migros version. 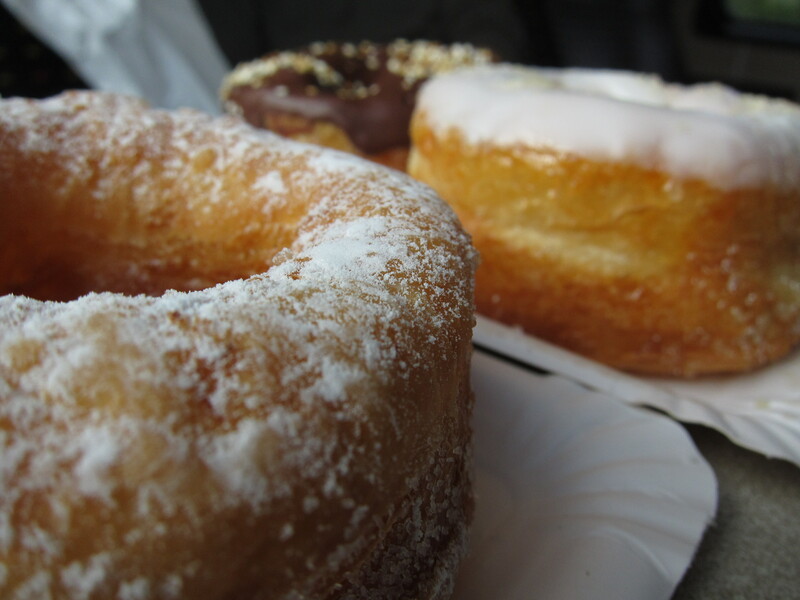 If I ever get to taste the original Cronut, though, I hope it will be worth the kerfuffle. Otherwise, I’d rather take a trip to the nearest pasar malam and get some good old cakoi for tea. This entry was posted in Blog and tagged Dominique Ansel, food, Migros. Bookmark the permalink.